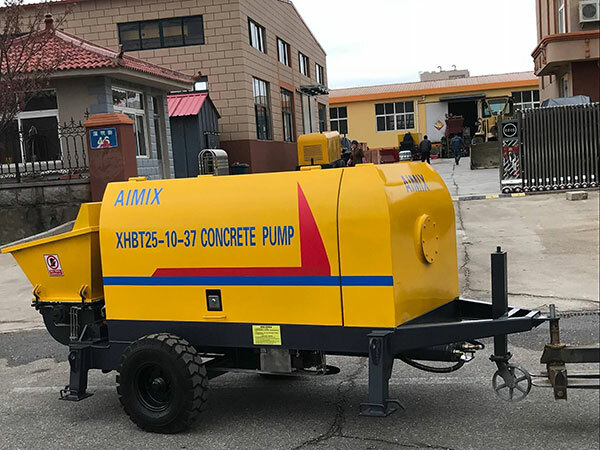 The concrete boom pump for sale is no stranger to most people and it is used in many construction sites, such as, high-rise buildings, bridges, flyovers, airports, and so on. With the rapid development of social economy, urban construction is also rapidly improving. With the rise of tall buildings, urban construction is becoming more and more important. So the concrete boom pump for sale is popular for many clients. Moreover, it has the features of high automation, high pumping speed and working efficiency, remote control system to convenient and safe operation. Concrete boom pump for sale mainly consists of chassis, turret, boom system, hydraulic system, electrical system and pumping system, etc. Chassis: The chassis is mainly used to provide the power for the driving and pumping of pump cars. Boom system: The boom system is mainly composed of boom, turntable, rotating mechanism, fixed turret, supporting leg and so on. Its characteristics are as follows: flexible operation, wide range of concrete placing boom, optimal design and reasonable structure. The imported rotary has strong resistance to overturning. Hydraulic system: Hydraulic system of concrete pump truck is mainly composed of cooling filtration system, cylinder, tank, hydraulic pipe, etc. The components of hydraulic system are imported. Each system is equipped with safety protection devices to ensure the safety of equipment and users. Electric system: The electronic control system mainly consists of wire, cable, electronic control box, wireless remote control, text display and so on. The system is operated by wireless remote control. The wireless operating system can operate all the work other than the outriggers. Pumping system: The pumping system mainly consists of main oil cylinder, conveying cylinder, hopper, S valve, washing room and so on. Our pumping system of concrete boom pump truck is with reliable performance and high suction efficiency. Cleaning system: High-power cleaning pump can clean the pipe and hopper of boom pump quickly and conveniently. In general, the concrete boom pump has its own pipe, no additional pipeline. After arriving the work place, it can quickly open the boom to work, only need half an hour to make preparation, so the preparation time is short. The boom pump is equipped with hydraulic reel boom, which can rotate flexibly in the working range. Boom pumps for sale with the concrete placing boom is very convenient and quick to move. The pumping speed is so fast, generally at 90 cubic metre per hour to 150 cubic metre per hour, which greatly improve the equipment’s working efficiency. The automatic degree of boom pump is very high. Generally, the whole boom pump car can be operated by one person from pump to clean, equipped with wireless remote control system, which is easy to operate. The performance of the boom pumps for sale is very good. Under normal circumstances, after completion of an engineering operation, it can be quickly transferred to another project and continuously operated. At the same time, it can be responsible for concrete pumping of several construction sites. The construction of modernization is an inevitable trend of development, but due to lack of knowledge, it is difficult to avoid some security threats. In the face of a variety of new equipment, and some new problems emerging, we have to study hard, strengthen training, and master adroitly operational skills to eliminate hidden dangers and achieve safe production. The concrete boom pump truck is very similar to a hydraulic truck crane in its driving state. It is only that the weight of the whole boom pump is more heavy, and the center of gravity is likely to be higher. Therefore, it is more difficult to maintain the stability of driving, so it is more important to drive with caution. The boom pump has a lot of hydraulic oil pipes and the connections of concrete placing boom, so it do not be allowed excessive one-way rotation, usually with limit switch to alarm. By the way, the allowable rotation range is 360 degrees. You should choose a flat and solid field to play legs, and the boom pump needs to have a certain distance from the slope. There must be no high voltage wire or bare wire within the working range, in order to prevent the occurrence of an electrical accident caused by the concrete boom. The key of the switch should be removed and put down. The gear lever of the car should be in direct gear position. The legs should be played well according to the regulations, and the tyres should be off the ground about the 50 meters. The speed, water temperature, hydraulic, oil pressure and other instrumentation indicators of diesel engine on the chassis should be normal. The water tank of the cleaning system should be filled with water. 5. Scientifically and rationally using the boom concrete pump to ensure the safe operation and increase the service life of the machine. Our company has been engaged in the production and marketing of the concrete machine for many years. 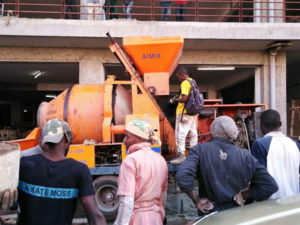 Our many concrete boom pump for sale has been sold at home and abroad, such as, Europe, south Africa, Australia, California, etc and have won the good reputation. Also, our service is much more considerate and complete. When you give an inquiry for concrete boom pump, we will serve you sincerely. If you are interested in our concrete boom pump for sale, please feel free to contact us and we will answer you within 24 hours and give you the latest concrete boom pump price.